Thank you for visiting JeffLaw.com, the website of Jeffrey P. Smith, attorney at law. Please call or e-mail comments or questions about this website or the office's areas of practice, fees, this Web site, or services you would like to see offered here. Office meetings available by appointment. Note that legal advice is not provided by e-mail or online to non-clients. Office Move. Jeff's office is now located in Suite 232 of the Church Street Building at 708 Church, Evanston. Office meetings available by appointment. Legal Education. Jeff in January and February 2015 was a panelist at all-day IICLE courses on hydraulic fracturing in Illinois. Jeff also in 2015 presented to an environmental law conference, and in a panel to a section of the bar. Public Service. Jeff in February 2015 concluded service as General Counsel to the Illinois Department of Natural Resources, managing a legal office of 15 that handled over 2,500 matters per year for the state agency. Renewable Energy Work. Jeff, at that time a board member of Citizens' Greener Evanston, was appointed to the Mayor's Wind Farm Committee in Evanston in 2011, chaired its Public Affairs task force, and co-edited the Committee's final report. Jeff was then appointed in 2011 to the State of Illinois's Lake Michigan Offshore Wind Energy Advisory Council, whose report was issued in June 2012. In fall 2012, Jeff presented on the status and challenges of Illinois offshore wind in Illinois at an Illinois State Bar Association symposium on wildlife, renewable energy, and climate change. Jeff worked with Illinois legislators and clean energy advocates in 2012-2013 on the Lake Michigan Wind Energy Act that implemented the Advisory Council's recommendations, and has spent significant time studying both offshore and onshore wind energy and other renewable energy issues. Jeff Smith Participates in Leadership Evanston Panel. Fall, 2012: For the fourth municipal election cycle in a row, Jeff joined a panel of local experts on campaign startup, financing, and strategy at the Evanston Community Foundation's weekend seminar on running for local office. Green Building Research. 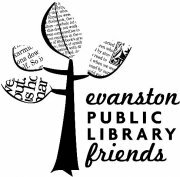 February, 2011: During public discussion of Evanston's green building ordinance, Jeff collected numerous resources demonstrating that green building at the LEED Silver level or higher is not only feasible, but advisable for smaller retail stores and buildings. See The Real Story on Green Building for Retail, but note that as green building standards change rapidly, the information in that column may no longer be up-to-date. No Rate Increase. Jeff froze basic hourly rates following the economic collapse of 2008, feeling that many individuals and businesses in need of legal services have had to adapt to revenue declines of their own, and that if possible this office should not add to what is already a challenging economic environment. Green Office Measures. Legal services are not a smokestack industry but, cumulatively, every activity has impact on the environment, and we all can take steps to improve, even in an office environment. Most of the paper this office has used has been 100% recycled; the remainder has significant post-consumer content. Toner and ink cartridges are recycled. Almost all waste paper (excepting confidential documents) is recycled, and often paper is re-used even before recycling. Jeff has for many year worked from home and/or remote locations by computer and cell phone on days where it's unnecessary to drive, and has significantly reduced auto miles traveled through use of bicycle and public transportation. Sunlight and/or CFC bulbs have been used in place of incandescent bulbs. Jeff has used ceiling and desk fans to make heating and cooling more efficient. Overnight powering of electronic devices has been reduced. Voting Rights Team. Jeff, along with hundreds of other lawyers, volunteered in Indiana during the 2008 primary, in Missouri on Election Day in November 2008, in Illinois on Election Day in November, 2010, and in Ohio on Election Day, November, 2012, as part of an effort to make sure that every voter was able to vote and to have his or her vote counted. Extended Work on Zoning Revisions Helps Neighborhood. 2007-08: Jeff was pleased to work with other Evanston attorneys, residents, and businesses on implementation of Evanston's Central Street Master Plan. On January 28, 2008, the Evanston City Council unanimously passed two ordinances that, combined, changed the zoning ordinance map and text in the 2-mile long "Central Street Corridor." Among the purposes was to preserve existing character of the business districts, sustain and enhance the corridor as a location for its diverse, unique, pedestrian-oriented retail shops, services, and restaurants, encourage retail uses close to transit, and create a pedestrian-friendly and human-scaled streetscape. Click here to review a summary of the zoning changes. Right to Have Ballots Counted Upheld. April, 2007: This office lent strategic, research, and drafting assistance with respect to an aldermanic election in Chicago. Plaintiffs challenging the close results of the runoff election had asked the Court for the unusual relief of discarding thousands of votes from multiple precincts where, the plaintiffs alleged, there had been instances of vote fraud. This office helped articulate a response demonstrating that the extreme remedy requested would do massive injury to the rights of voters who had voted lawfully. The court ultimately ruled along the lines our client requested, and dismissed the lawsuit. Evanstonians Assisted on Civic Center Dispute. Feb.-March, 2007: This office helped a resident group place on the ballot for the April consolidated election an advisory referendum asking the voters of Evanston whether the city governmental seat should remain in the existing Civic Center. When the City placed its own competing "counter-referendum" on the ballot, this office filed suit to have that referendum stricken from the ballot as confusing to voters and thus unlawful. With little Illinois case law on the topic, the complaint was dismissed by the Circuit Court of Cook County; the plaintiffs then chose to take their case to the voters rather than a higher court. The citizens' referendum was approved with more than 85% of the vote. Copyright and Lanham Act Case Settled. February, 2007: From late 2005 through early 2007, this office defended six companies (and one of their officers) charged by a small designer and her licensing firm with violation of federal copyright and false advertising laws. After filing motions on behalf of some major retailers, those companies were dismissed without any liability. After a more complex motion, all this office's other retailer clients were also dismissed. Finally, after a pretrial before a federal magistrate judge, the case was settled in entirety. The length and dispute level of the case illustrate the importance of getting a contract right at the beginning of a business relationship or transaction, and that investing in legal services can save a lot of legal fees much later.